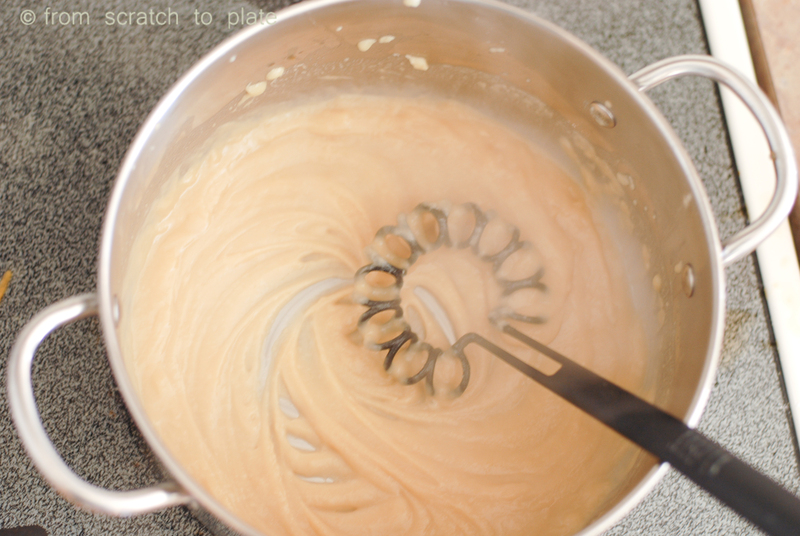 The secret to awesome and versatile from-scratch cooking is Roux (pronounced “roo”). 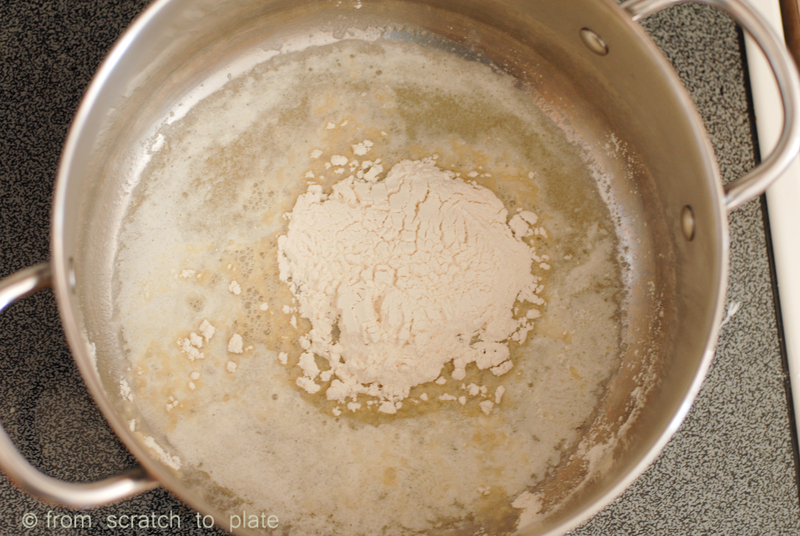 Roux is a classic french base used to thicken sauces. It will revolutionize your dinners. Can you tell I love Roux? It even deserves a capital letter, even when it’s not at the beginning of a sentence. Roux is basically equal parts fat and flour, cooked to change the flavor into something nutty, instead of something, well…flour-y. You then add liquid to the mix slowly. Typically, the fat used is butter, although you can use oil, bacon grease, or rendered fat from various other meats, like sausage, turkey, chicken, beef…etc, depending on what you are using your roux for. 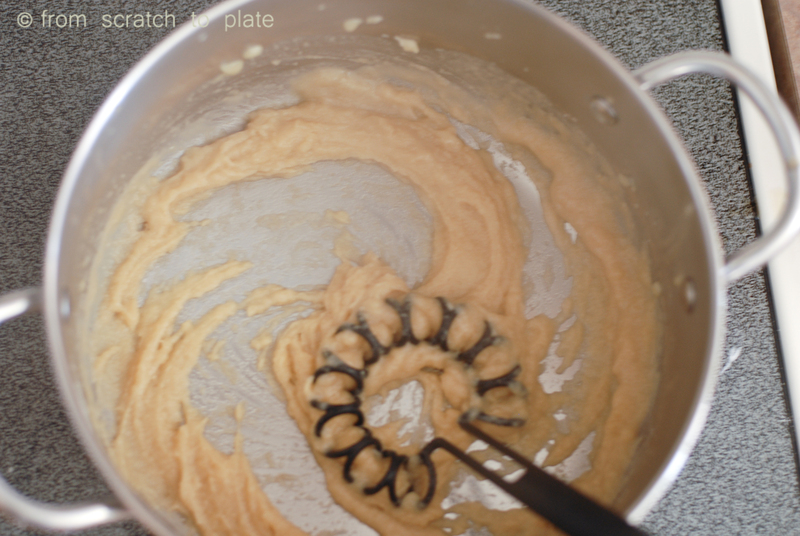 I use roux for gravies, condensed soup replacements, sauces and cream soups. It takes a little more time than opening up a can of condensed soup or gravy, but once you get the hang of it, it will be just as quick as using a powdered mix, and taste waaaayyyy better than any of those options, plus you’ll be avoiding a slew of dangerous preservatives and additives. 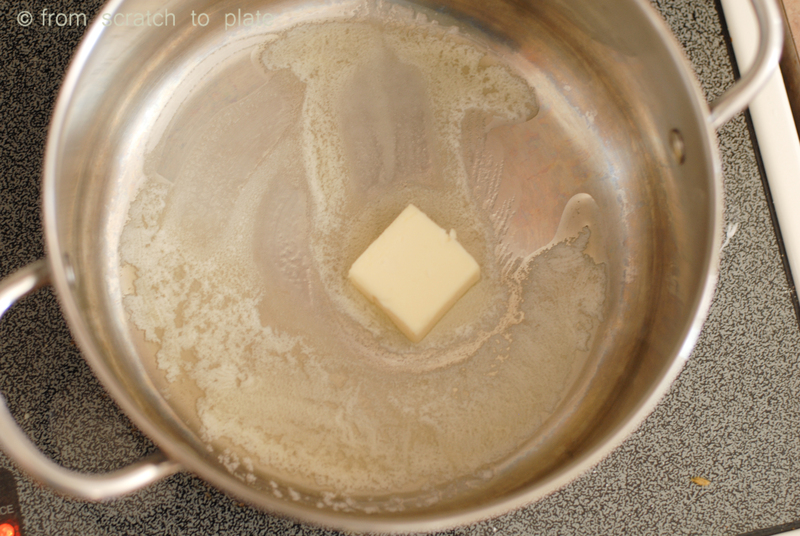 Over medium heat, place butter in a sauce pot. Stir with a whisk until melted. Whisk in flour. Continue to whisk, checking every once in a while to check the color. The darker your roux, the more flavor, but be careful, because butter burns easily and it’s just a few seconds between toasty brown roux and a burnt mess. 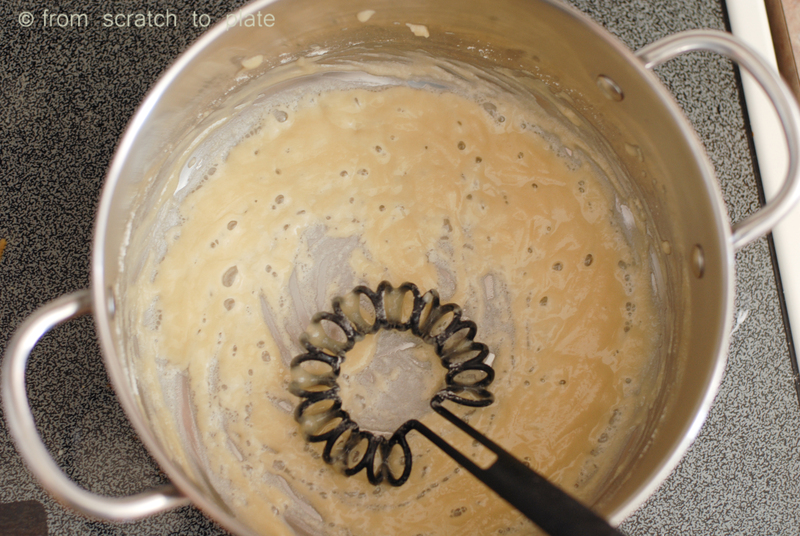 When your roux is toasty colored, start to add your liquid. You want to add your liquid about 1/4 cup at a time, stirring vigorously with your whisk continuously. Each time you have fully incorporated your liquid, add more liquid. You will see that each addition of liquid makes the consistency looser. 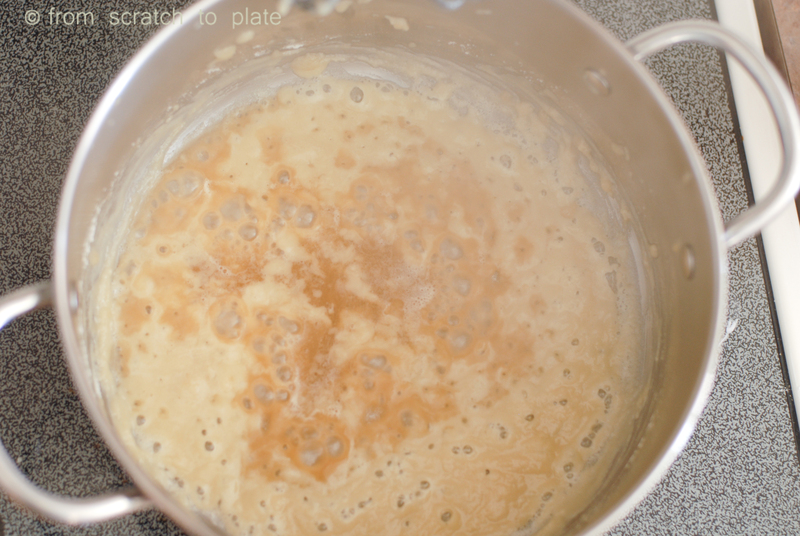 Eventually the consistency will be more liquid than thick, and you can dump in the rest of your liquid. 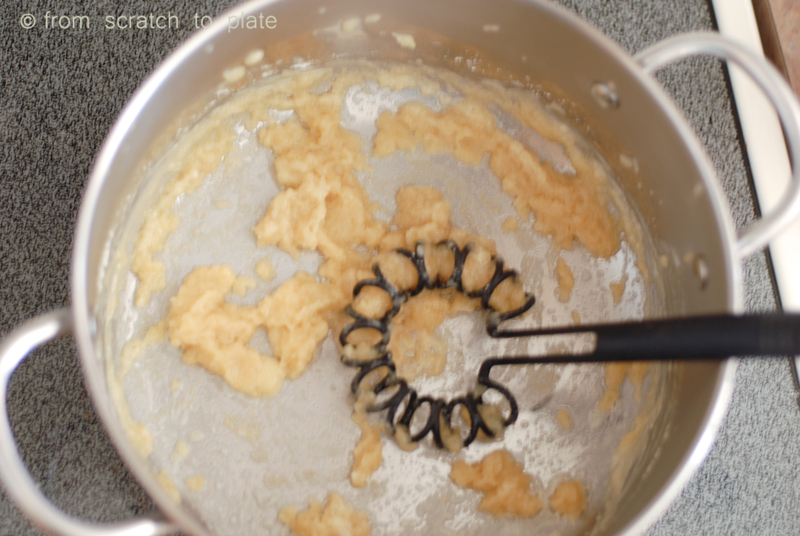 To ensure you have no lumps in your final product, be sure you whisk until there are no lumps before each addition of liquid. 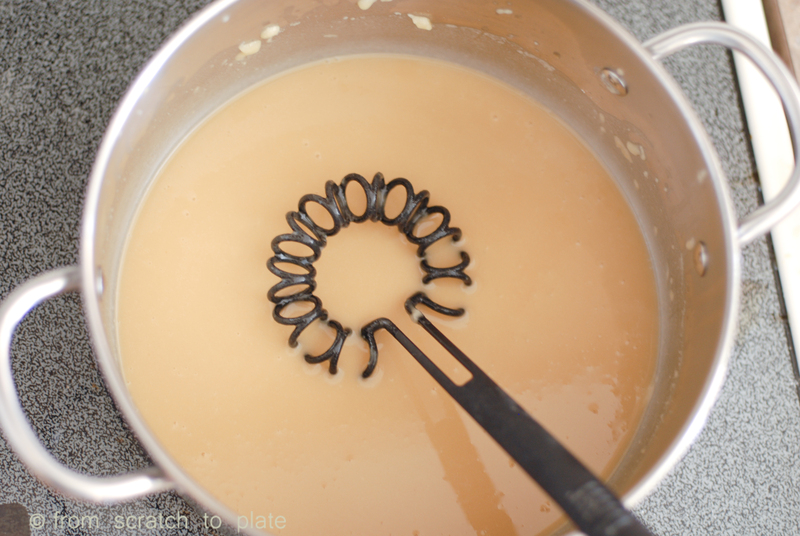 Once your liquid is completely added, whisk frequently while cooking over medium heat until desired thickness. Here are some pictures to help you through the process: (please excuse the blurriness, I was hurriedly taking pics while trying to keep my roux from burning…). The last four pictures are various stages you go through after each addition of more liquid.